“We did a systematic search of prospective and intervention studies that assessed the effect of 25(OH)D concentrations on non-skeletal health outcomes in individuals aged 18 years or older. We identified 290 prospective cohort studies (279 on disease occurrence or mortality, and 11 on cancer characteristics or survival), and 172 randomised trials of major health outcomes and of physiological parameters related to disease risk or inflammatory status. Investigators of most prospective studies reported moderate to strong inverse associations between 25(OH)D concentrations and cardiovascular diseases, serum lipid concentrations, inflammation, glucose metabolism disorders, weight gain, infectious diseases, multiple sclerosis, mood disorders, declining cognitive function, impaired physical functioning, and all-cause mortality. High 25(OH)D concentrations were not associated with a lower risk of cancer, except colorectal cancer. Results from intervention studies did not show an effect of vitamin D supplementation on disease occurrence, including colorectal cancer. In 34 intervention studies including 2805 individuals with mean 25(OH)D concentration lower than 50 nmol/L at baseline supplementation with 50 μg* per day or more did not show better results. Supplementation in elderly people (mainly women) with 20 μg vitamin D per day seemed to slightly reduce all-cause mortality. 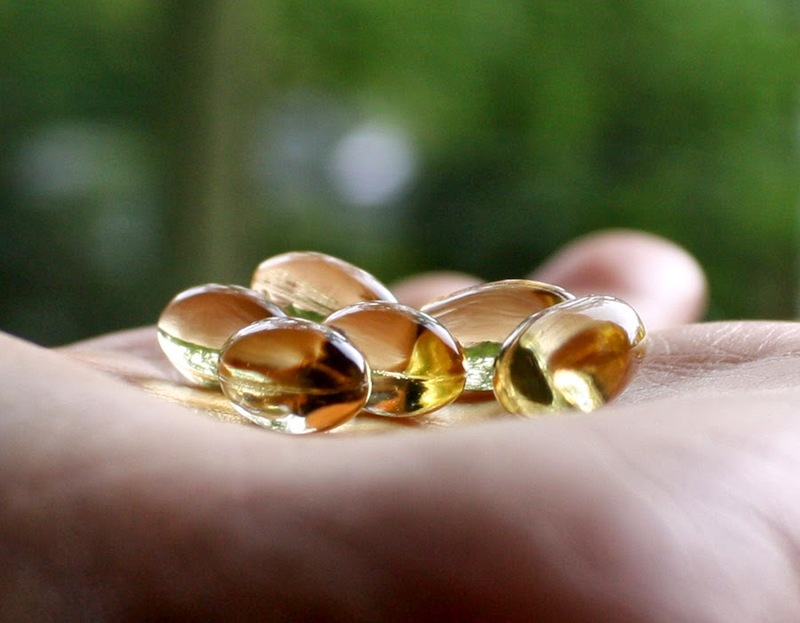 Vitamin D has become a darling in the supplement world. That reputation may not be founded. What’s more likely is that low vitamin D levels, rather than being a cause of poor health, are a consequence. This entry was posted in Vitamin D on January 10, 2014 by Bix. What I take from this is that if we reduce inflammation, vitamin D levels could go up … regardless of how much we supplement. I wonder if you could flip this around and use it as a canary in the coalmine? A quick online search shows you can do some in home tests ($45-80), but you have to send them off. I wonder if someone could develop a quick test. A pricked finger at the doctor’s office, combined with history/risk factors, might be another simple way to see if there is cause for further investigation. That doesn’t mean taking vitamin D protects against cancer! It just means that the inflammatory disease state is associated with low D.